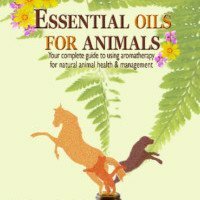 View basket “Essential Oils for Animals book” has been added to your basket. Written in a clear, simple to follow format, by one of the world’s foremost aromatic experts, this book is a must have for anyone who wants their dog live a long healthy life. Select which version you would like below. 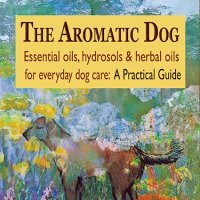 The Aromatic Dog is a practical guide to using essential oils, hydrosols and vegetable oils for your dog’s well-being. These aromatic plant extracts offer a safe, effective way for you to care for your dog naturally, from first aid to flea control. Create a deeper bond between you and your much-loved dog. This book also offers advice on building your aromatic home pharmacy without breaking the bank. Included are detailed profiles on 26 essential oils, 8 hydrosols and 8 carrier oils. Plus how to make your own lotions and potions. Written in a clear, simple to follow format, by one of the world’s foremost aromatic experts, this book is a must have for anyone who wants their dog to live a long healthy life. Select which version you would like, print, Kindle (mobi) or epub. If you purchase the ebook, you will be sent a download link in your receipt, just click the link to get your book. Sometimes this email will be mislabelled as junk, so if you don’t get it check your junk folder, or even better, put info@essentialanimals.com on your whitelist.